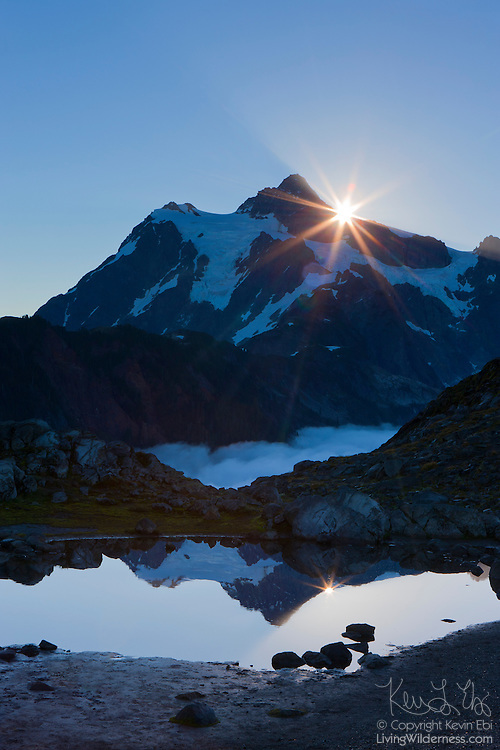 The sun rises over Mount Shuksan, a 9,127-foot (2,782-meter) peak located in North Cascades National Park, Washington. Shuksan is derived from a Skagit Indian word meaning "rocky and precipitous." The mountain is reflected in a tarn near Artist Point.